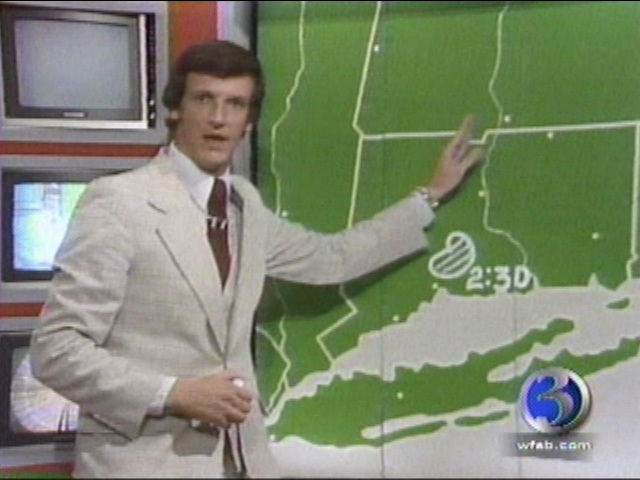 Thirty years ago this week, long time WFSB weatherman Hilton Kaderli delivered a report that it is still etched into the memories of many Channel 3 viewers. Hilton was atop Mount Washington in New Hampshire working at the observatory on a special report for Eyewitness News. Winds were gusting at 100 miles per hour and the temperature was well below zero, so he decided to file a report on the fierce weather. He recorded some lines on camera, then decided to shoot a second version. His head and face covered by a hood, a mask and goggles, Kaderli redid the take and began to sign off. I remember that broadcast as if it were yesterday! !